"Writ petitioner as an Officer of the Bank is bound by the salary structure approved by the Bank for its Officers. The decision of the Standing Committee is a part of the decision-making in respect of salary payable to the employees of the Banks." The Supreme Court has observed that the employee of a Bank has no right that he should be associated with the decision-making process in respect of the fixation of salary. 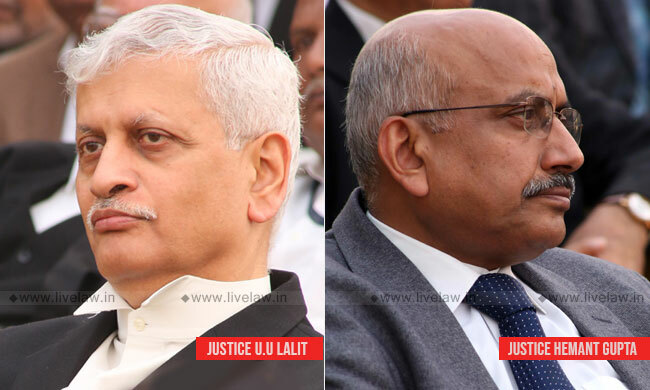 The bench comprising Justice Uday Umesh Lalit and Justice Hemant Gupta observed that the Officer of the Bank is bound by the salary structure approved by the Bank for its Officers and the decision of the Standing Committee is a part of the decision-making in respect of salary payable to the employees of the Bank. An SBI Employee had challenged the re-fixing of his salary by State Bank of India before the Bombay High Court. The bank had re-fixed the salary on the basis of formula approved by the Standing Committee. The High Court agreed with employee's argument that he has no privity to contract with the Standing Committee on the basis of which the salary was reduced. "The respondent-writ petitioner as an Officer of the Bank is bound by the salary structure approved by the Bank for its Officers. The decision of the Standing Committee is a part of the decision-making in respect of salary payable to the employees of the Banks. The employee of a Bank has no right that he should be associated with the decision-making process in respect of the fixation of salary. However, if the question of reasonableness of salary arises, then in exercise of power of judicial review, the Court may examine the decision-making process." The court also observed that, as the salary has been fixed for all Officers of the Public Sector Banks in a non-discriminatory manner keeping in view the Cost of Living Index, the High Court erred in law in setting aside the reduction in salary. The court also noted that there was no promise ever made to the employee that his salary of US $ 1965 shall remain unchanged during the period of his posting. Mere fact that the salary was changed subsequently, it will not confer any legally enforceable right in favour of the respondent to challenge the same on the ground that the same is arbitrary or unjust, the bench said while setting aside the High Court judgment.